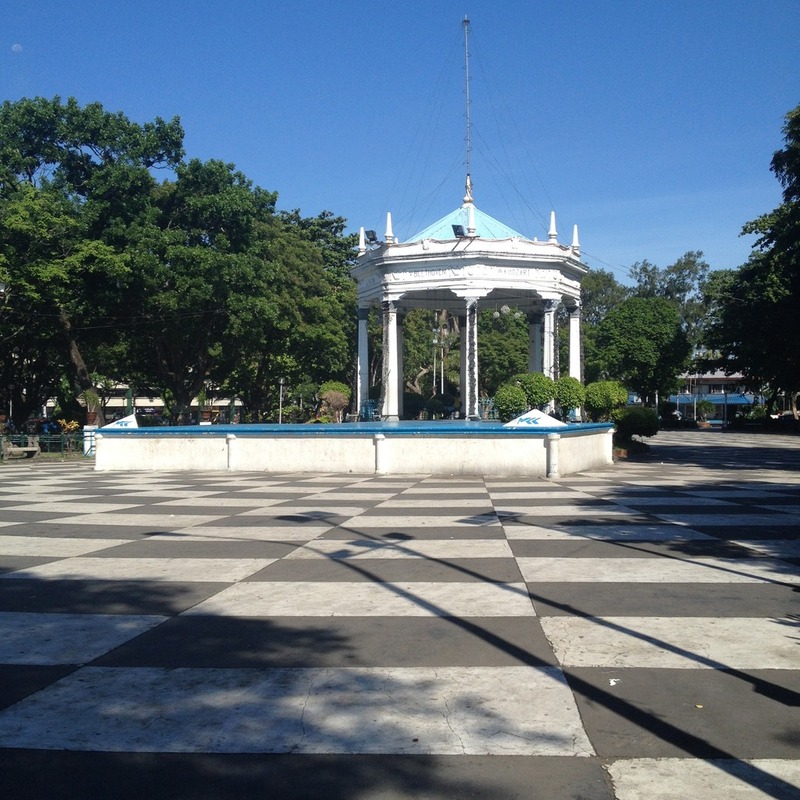 The Bacolod City Plaza in Bacolod City, Negros Occidental, Philippines may just seem to be an ordinary public park. Just like any other in the Philippines. But unknown to many, there are interesting things to discover here. Many of which have historical significance. 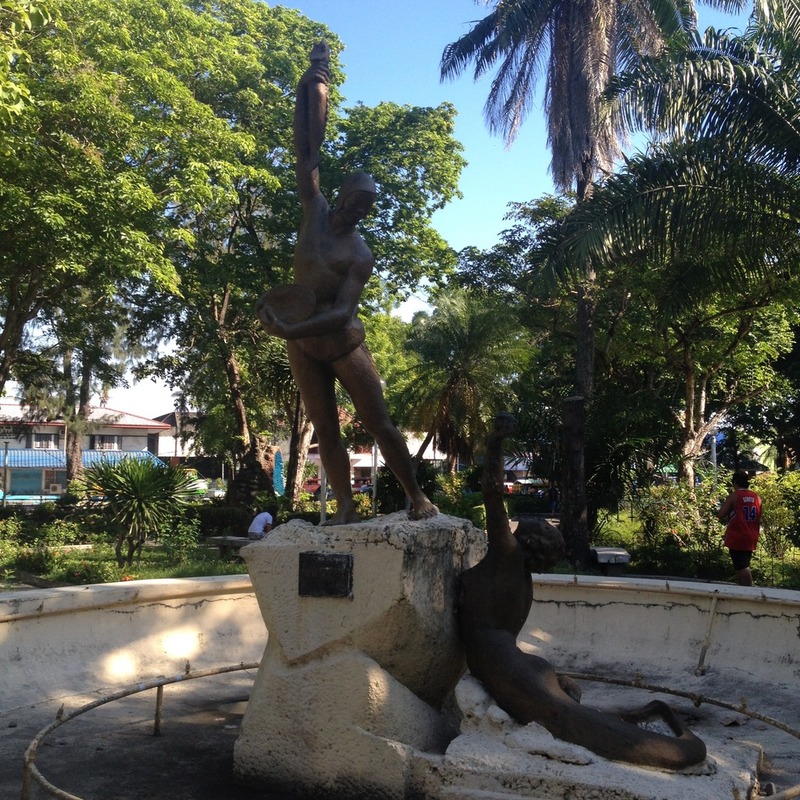 The plaza is also formally known as Plaza del Seis de Noviembre. This public park is right across the San Sebastian Cathedral and the Bishop's House. 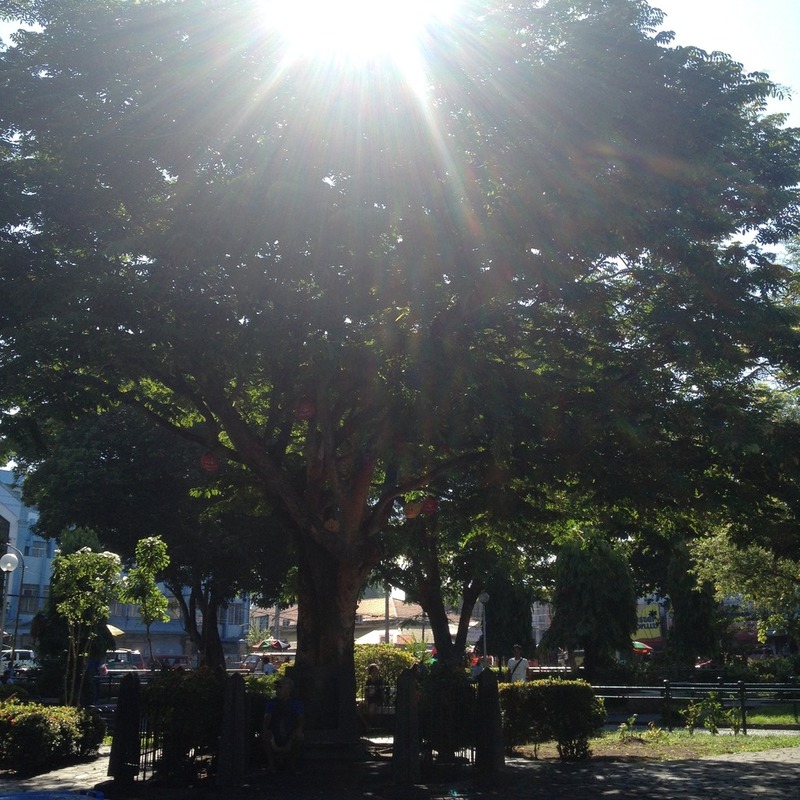 While tindalo trees are commonplace in the Philippines, the tindalo tree at Bacolod City Plaza is special. It was planted by former Philippine Commonwealth president Manuel Luis Quezon. 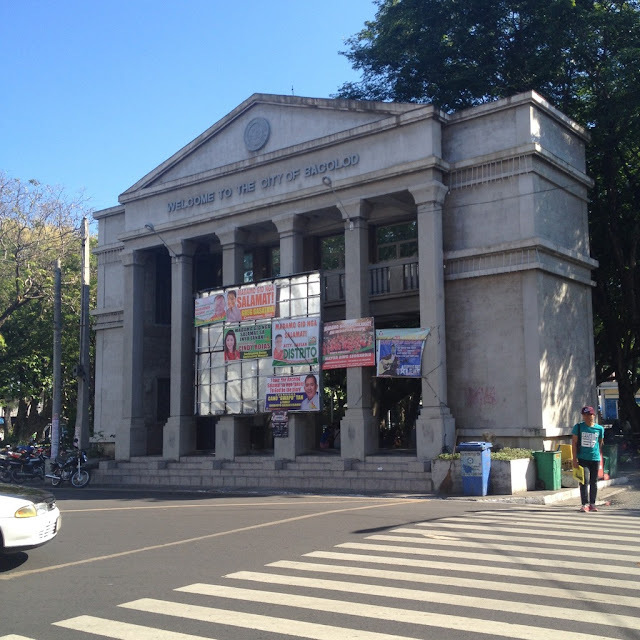 The Bacolod City Welcome Arch is a later addition to the city square. 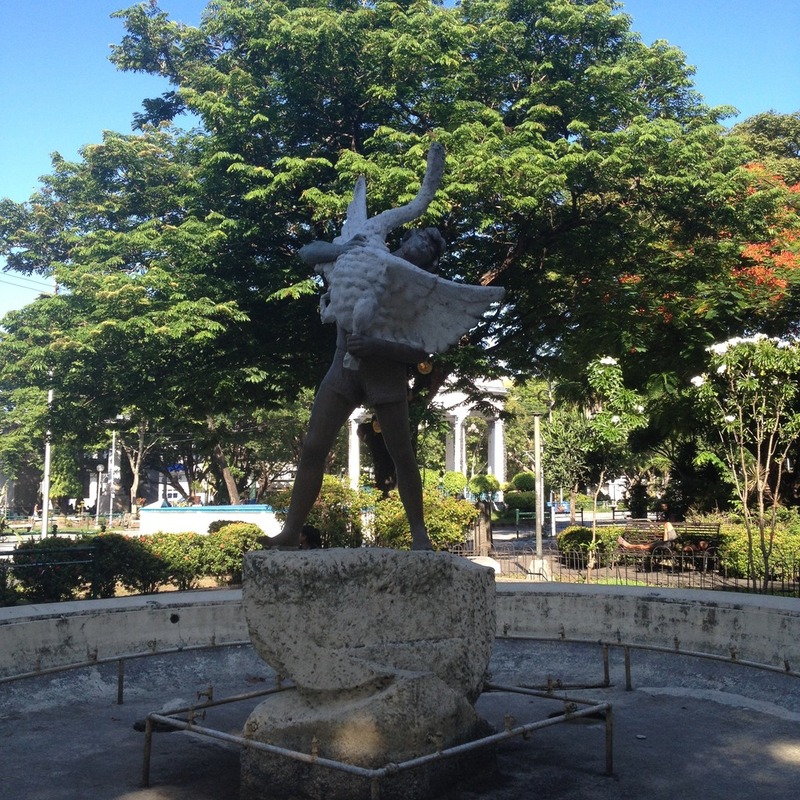 It is officially known as the Bacolod City Diamond Jubilee Tower. The structure was dedicated on 18 June 2013. The tower was built to commemorate the date the Charter of the City of Bacolod. Commonwealth Act No. 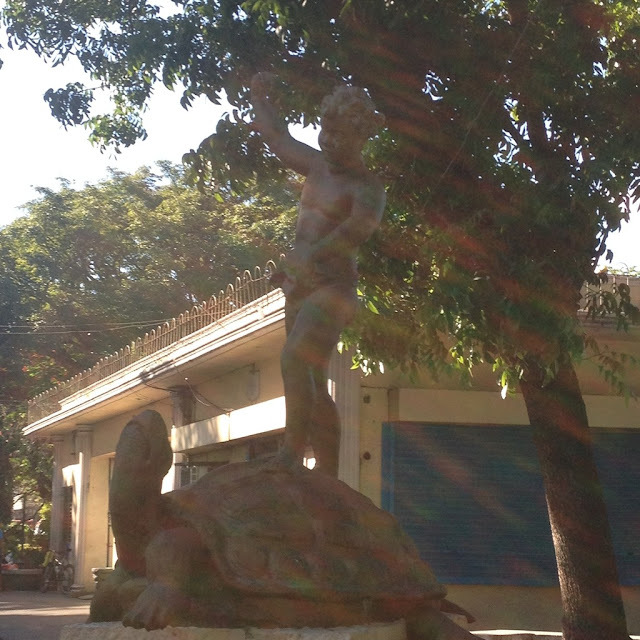 326 was signed into law by then President Manuel Luis Quezon on 19 October 1941. This is probably the tallest man-made structure in the plaza. It is a pity that this arch was almost covered with election campaign posters when we visited in late May 2016. A tribute to the many soldiers that fought heroic battles for freedom stands at the park: the Monument to the Unnamed Soldier. The monument features a weeping lady at the base of a column. 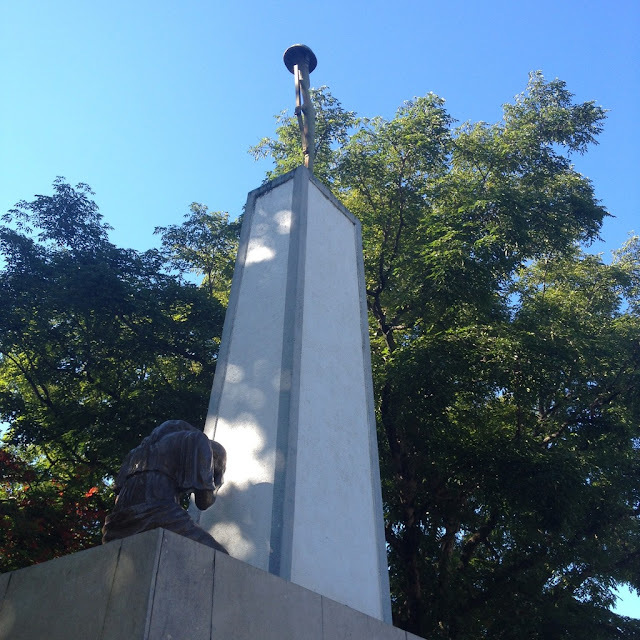 On top of the column is a soldier's helmet is placed on top of a rifle whose barrel is pointed to the ground. Such is a common marker to a late soldier's grave in a war zone. A gazebo stands at the center of plaza. Adding to it being a center of attraction at the public plaza are the names inscribed on it: Haydn, Beethoven, Wagner, Mozart. All of whom are renowned musicians. Rightfully so, this gazebo is commonly used as a bandstand where musicians perform regularly. The 4 fountains one can find at the plaza are each adorned with a replica of classic sculptures from Europe. 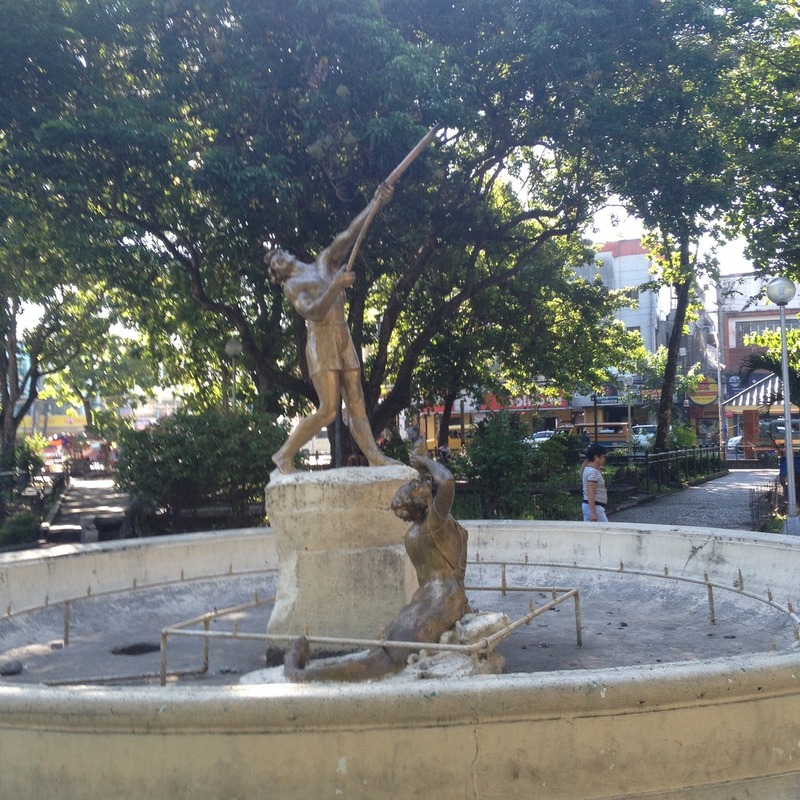 Sadly, these beautiful replica art items are also the most neglected in the plaza.